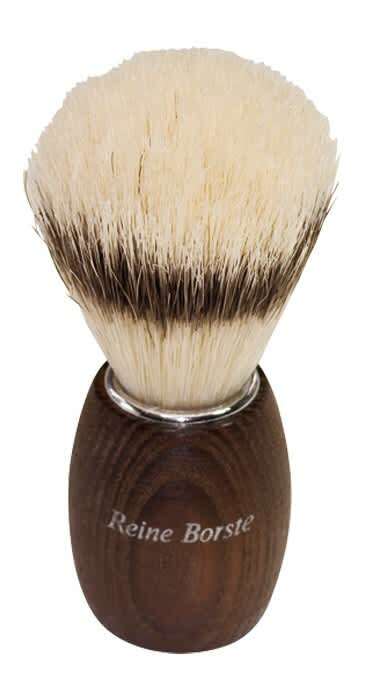 Wooden shaving brush with an oiled thermwood handle & light bristle. Perfect for every man go on, treat him. Oxford Brush Company in Burford, United Kingdom.